"Too much time staring at my mac screen whilst the video loaded or paused out due to connection issues. 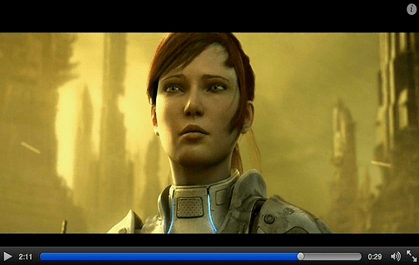 As a result, I try to save YouTube videos using Safari with the appropriate extension. When I switch to Safari only to find I can't download YouTube videos. Where can I find such Safari YouTube downloader to allow this using Safari? Anybody?" "I am currently using a downloader to download videos from YouTube site from Firefox but I want to make the switch to Safari. Is there an alternative YouTube downloading application for Safari?" "The YouTube ad-free service YouTube Red does a great job to save YouTube videos for offline playback. But I also notice that it does not have a Mac version for offline mode. I therefore need a YouTube video downloader for Safari. Any suggestions? " YouTube is one of the largest and most popular video sites, not only offering users tons of videos for free but a base camp for killing boring time. However, being stuck due to the poor internet connection or slack pages switching will the last thing you want, and it's worth noting that YouTube 4K streaming is not supported in Safari! Seeking ways to save YouTube videos for offline viewing on other devices is a matter of time. Whereas you may find downloading YouTube videos is not a breeze on Safari for Mac like what on Windows OS. Any suggestion for the job? The following 3 Safari YouTube downloaders will tell you. MacX YouTube Downloader, a totally free tool allows users to download YouTube videos on Safari and various other web browsers like Firefox, Chrome, IE etc with high quality and fast speed. Thanks to the hyper-threading tech, users can free download 1080P YouTube video, 4K ultra HD YouTube videos in VP9 codecs on Safari in like FLV, MP4, WebM. It will also be an easy task to free download HD videos from Facebook, Vevo, and 300+ sites with this YouTube downloader for Safari. YouTube 5 is another nicely built YouTube saver Safari extension which streams videos directly on YouTube, Facebook and Vimeo. Users are also allowed to download YouTube videos Safari to HTML 5, H.264 video format with YouTube5. This works on Facebook too but unfortunately Vimeo is not the option. Users can simply go to Safari > Preferences > Extensions > YouTube5, to select their desired video format of different resolution (360p, 720p, or 1080p) as you like. A easy-to-use yet effective program which as it claims, is compatible with all the major web browsers like Apple Safari, Opera, Google Chrome, Firefox and Internet Explorer. You are allowed to download YouTube videos Safari in two common video formats MP4 and FLV with several resolutions available. It enjoys strengths like it's simple to use while supports popular browsers and HD videos downloads, however, it's poor in delivering options. Summary: But which extension is worth installing and which is better left alone? 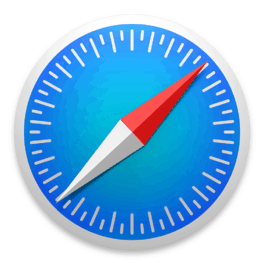 When it comes to Safari YouTube saving, all of the above three tools can do a good job, however, there will always be a winner in the round, and this time MacX YouTube Downloader outweighs others functionally. It comes with more output formats, offers 4k UHD video downloading and supports most major web browsers and deliveries original video quality, it's not hard too see why it tops the list. Below is a step-by-step guide on how to download YouTube videos on Safari with the champion YouTube downloader safari. Step 1: Download this free YouTube video downloader for Safari and launch it. Open Safari web browser and find out your desired YouTube video. Then copy and paste this URL to the main interface of Mac YouTube downloader. Click "analyze" to load the video information. Optional steps: Specify an output folder to save output file. 4K UHD videos downloads with VP9 codecs are also supported, which can perfectly solve 4K video not streaming on Safari issue and enable you to freely play 4K video on Mac, iPhone, iPad etc. 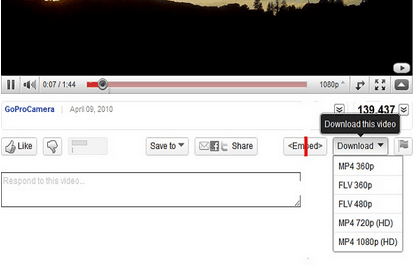 Step 3: Click "Download Now" to download YouTube videos on Safari. Sometimes you may find that the above YouTube downloader is not enough to satisfy all your needs, and that's where its higher version comes in. The all-in-one multifunctional MacX Video Converter Pro, a professional YouTube video downloader as well as a reliable video converter, comes with more advanced functions to cover various needs. With this YouTube downloader for Safari, users can not only download YouTube videos on safari and also videos from 300+ video sharing sites as they want, including SD, HD 720p, 1080p videos and even 4k UHD videos, but also convert the downloaded videos to any video formats including MP4, MOV, FLV, WMV, AVI, MKV etc and audio format or transfer them directly to various mobile devices like iPhone 6 (Plus), iPad Air 2/mini 3 Retina, Galaxy Note 4/S5 etc. Step 1: Free download the best YouTube video downloader for Safari, and then click "YouTube" button, copy and paste the URL of the YouTube video to the box. Or you may just click "analyze" to let the software detect the YouTube video in the Safari automatically. Step 2: Choose the format you want like MP4, MOV, AVI etc or transfer it to your mobile devices by selecting the respective device from the list. Step 4: Hit the "RUN" button and start YouTube video downloading process on Safari. All the tasks can be finished at 83X fast speed and original quality. It also downloads videos from Vimeo, Facebook, Vevo, 300+ sites.